Real estate agents may enter into a contract with a buyer that allows them to work in the best interest of that buyer. That agent is then considered a Buyer's Agent. Governed by the Wisconsin State statutes, real estate agents have a high level of responsibility to both parties in a transaction; but Buyer Agency provides higher levels of service to the buyer. The Buyer Agent's responsibility is to advise you rather than merely providing information. The Buyer Agent's primary responsibility is to the homebuyer. As your Buyer Agent I can advise you in all facets of the transaction because I am your representative. I can market you, the buyer, to listing agents in an effort to find you the property for which you are looking. Once a specific property is found I help you through the negotiations with my professional knowledge and skills. As your Buyer's Agent I can represent you in real estate transactions involving virtually any property for sale in Door County. Welcome Home Realty is a member of the local multiple listing service which covers any MLS listing, and with "for sale by owner" or builder I am your representative. Welcome Home Realty is owned by Cathy Wiese and provides the ultimate real estate experience for anyone looking to purchase or sell property in beautiful Door County, Wisconsin. 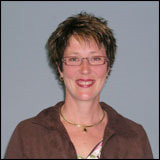 Cathy has lived in Door County for most of her life and knows the area intimately. She brings a wonderful combination of knowledge and experience to the table as your Realtor. Prior to opening the Welcome Home Realty office, Cathy was the owner of one of the county's most successful title insurance offices, working closely with thousands of real estate transactions over the years. She was well respected throughout her industry, serving on the board of the Wisconsin Land Title Association, including one year as the association's president. Cathy also has vast knowledge of the building industry. Her husband John was a experienced and respected builder in Door County. John and Cathy have two daughers - Paula (Dan) Reichel and Pam (Ethan) Jorns. They also have five grandchildren - Caitie Reichel, Jillie Jorns, DJ Reichel, Johnny Jorns and Emma Reichel. Welcome Home Realty is your Realtor of choice in Door County. Life-shaping decisions such as buying or selling property need the assistance of a true professional. 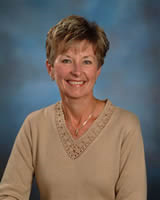 Cathy Wiese is anxious to assist in all of your real estate needs, truly providing a Welcome Home. Pamela Jorns, a Door County native, has joined Welcome Home Realty as a Broker Associate. She has been a Wisconsin licensed real estate agent since 2004. In 2011 Pamela received her Brokers License. Pam has a vast knowledge of the Door County Tourist Industry. She and her sister, Paula Reichel, own and operate JR Vacation Rentals and Cleaning Service. Pam and her husband Ethan, have two children, Jillie and Johnny. 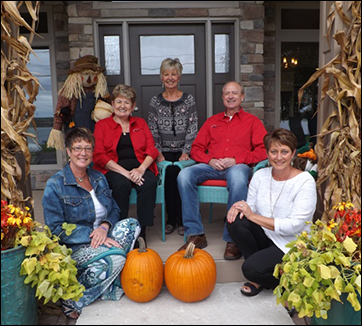 Nancy Roberts, a licensed Wisconsin Real Estate Broker since 1978, an Accredited Buyer's Representative (ABR) and a Door County native, wants to put her extensive knowledge of the real estate market in Sturgeon Bay and Door County to work for you. Nancy began her career working on the legal side of real estate. As an engineering manager, she was responsible for overseeing the details and deadlines that keep projects on schedule. This unique combination of experience, enthusiasm and dedication to service makes the difference in listening to your needs, finding the best property, guiding you through the process and getting the job done to help you fulfill your dream. She and her husband Phil, both Sturgeon Bay natives, have two adult children and three grandchildren. 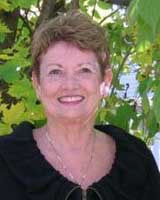 Nancy is truly a part of Door County working for you as your partner in real estate. When you first meet Willie Schartner, you can't help but be taken by his energy and enthusiasm. His approach to real estate is the same as his approach to life -- Quality, effort, results. While Willie's real estate sales career formally began in 1999, he has been buying and selling real estate in Door County for more than 25 years. Over that timeframe, Willie has developed an in-depth knowledge of the real estate market and established a reputation for excellence and trust. His philosophy for success is simple; do what's in the best interest of the client. Willie was born and raised in Door County and still lives in his hometown of Sturgeon Bay. He has two daughters, Casey and Emma. Casey is a teacher in South Korea and Emma is a teacher in Oklahoma City. For Willie, Door County is not just a place to live, but is an area where he has committed his life. He is a local businessman who, for 27 years, owned and operated one of the areas warmest and friendliest restaurants. Willie has always been deeply involved in his community, whether it's playing baseball for the Door County League for 30 years, volunteering in local youth sports, or sitting on the school board and committees. 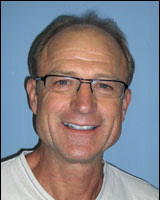 Willie currently serves on the board for the Door County Boy's and Girl's Club of America. Put Willie's hard work, knowledge and energy to work for you and find a solution for whatever real estate challenge you're facing.